Someone I don’t even know dropped me off in the middle of nowhere.I waited in the middle of nowhere for someone else to pick me up. 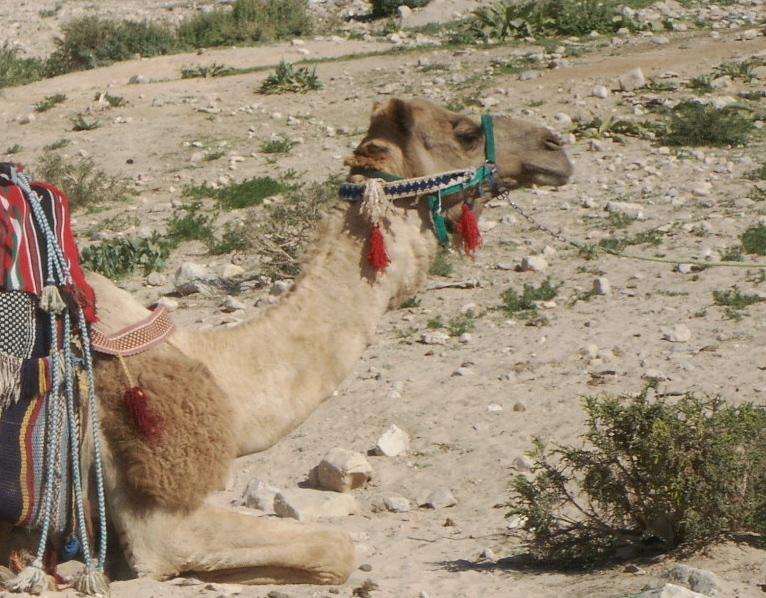 This someone else then took me to a bedouin village right near Petra. This visit to the Red Rose City changed my life and I’ve still never seen or heard of anything as amazing. It’s easy to fall in love with Petra and I’ve never heard of anyone who has found the city dull or overrated. I didn’t realise I had a dust allergy until I went to Wadi Rum. It’s not really a sandy desert like the ones I know, it’s more of a fine red dust. After 2 days I got over the dust and the lack of a toilet (you’ll get a shovel and no bog roll whatsoever, so bring your own tissues/wet wipes) and started having fun. The bedouins of Petra are amazing people. They’re very sweet, interesting and enterprising people. Whether they live in a cave, a tent or a house they all seem to have mobile phones and speak 3 or 4 languages. It wasn’t what I expected.If you have to mention that you are looking for something, in my case, certified antiques and Diet Coke, they know exactly where to find them. I met some foreign girls who were married/planning to marry some bedouin and live forever in Jordan in the caves and tents that these people occupy.As long as they’re happy then I’m happy for them.I am thrilled to visit for a few weeks but a life without a vacuum, a nice clean sofa and my fine bone china teacups… it’s tough! You try and sleep with sand in your bed! I spent 3 days just exploring the site of Petra before doing anything else. I stayed with some bedouin and had a guide take me around Petra and Al Beidha,which “the white place” on account of the rocks/caves being quite pale compared to the Petra rock. 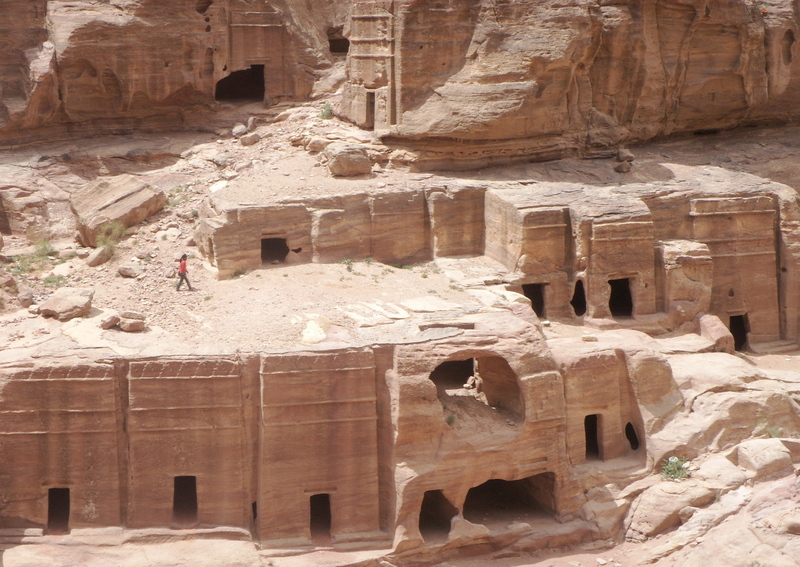 It’s also know as “Little Petra.” It’s quite special because there are a lot of caves that were used for residences, not just temples and treasuries. One or 2 of the houses have frescoes still visible on the interior – you can’t really see this in Petra that much.There’s a neolithic settlement right by Al Beidha. 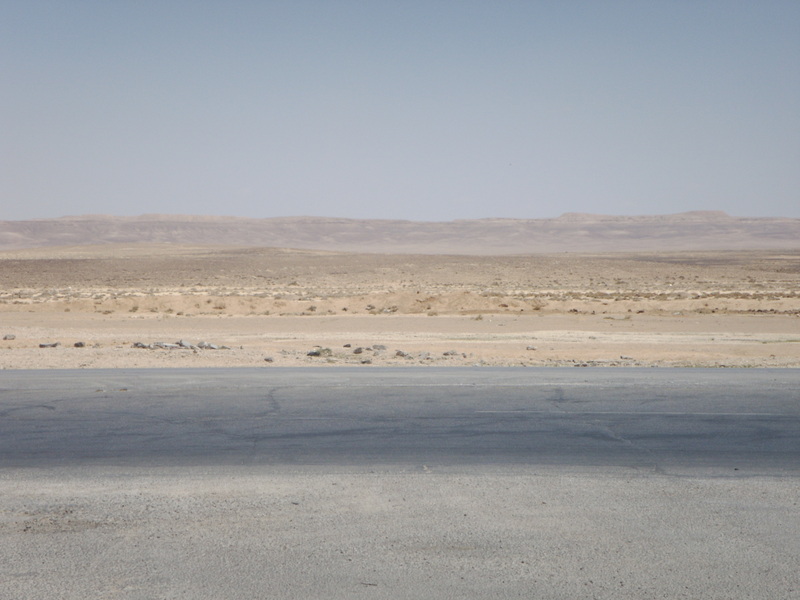 I don’t know if you are allowed to hire a car and just take off into the dessert alone, I’m not sure – maybe for safety reasons it’s forbidden? Well, in any case it’s not recommended, even for the Indiana Jones types – like me! 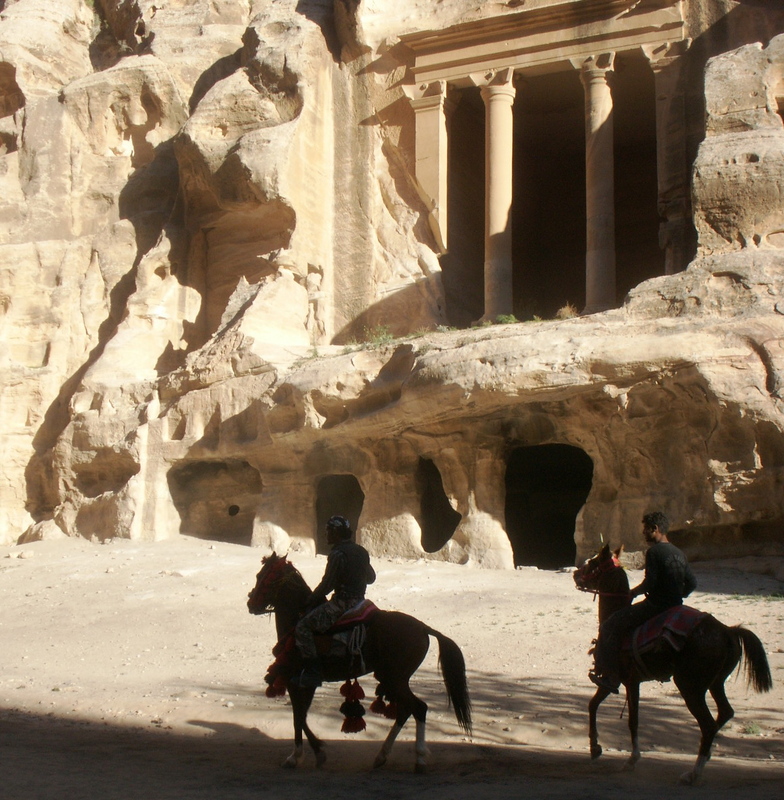 If you don’t have friends in or near Petra It is great to have a guide to organise all your donkey/camel hire. They also know exactly where you are and how to get out of the middle of the desert. I have tried before and ended up walking for miles in the wrong direction, it won’t happen again. I don’t often recommend tour guides if I can avoid them bit they are unavoidable in the middle of the desert, particularly at night. BEWARE of dodgy tour companies – as Petra becomes more and more popular, all these online agencies are popping up and some are very suspect. Some people even try and pick up tourists in Petra(the new town, not the ancient city, which is a UNESCO World Heritage Site) and I’ve heard some bad stories from my German friend who visited Petra before me. The tour company I recommend is Bedouin Discovery which is run by local people, namely Mohammed who is so nice and so patient and will let you do whatever you want, he can organise everything.He has experiened locals who’ll do a good job and help you get a good donkey/horse/tent/whatever – depending on your needs. Thousands and thousands of people visit Petra every day and you may need help getting a donkey – and it’s nice to have someone who will take you to places that are void of tourists. Ahh, the locals! You will never meet people like this again. They treated me so well and I often wonder why I don’t go back every year. I made friends with a lot of bedouin girls, one of them gave me her earrings for my half-empty tube of Vegemite. 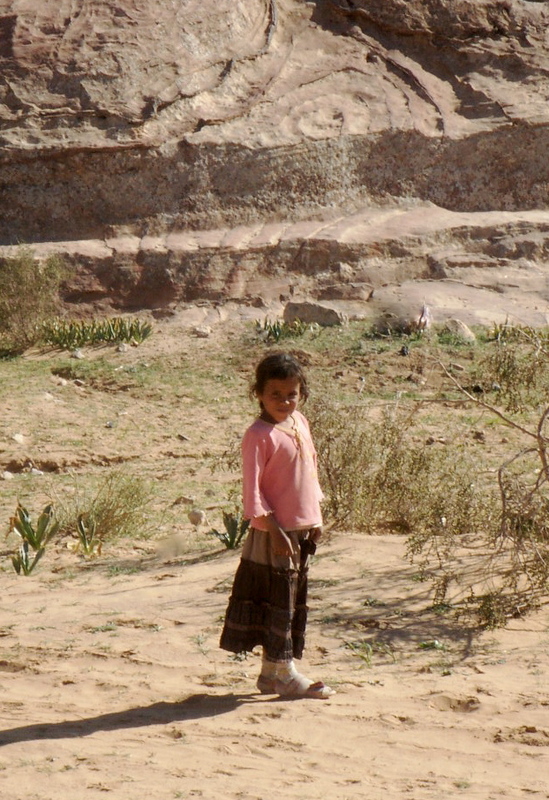 The bedouin kids are so friendly. They all seem to sell things (everything) and some at extortionate prices but, being good traders, they are always willing to negotiate. If you like camping, this is the place for you. You can choose cave or tent -both are great but I recommend the cave especially because they are the same reddish, purplish caves in which the Nabiteans lived. They were the original inhabitants and founders of Petra over 2500 years ago. Their markings remain on the cave walls and there are holes in all the walls for oil lamps. Some of the bedouin still use the old oil lamps too! It’s the Pre-Roman architecture that does it for me, this is why I love the place and I took about 500 pictures a day. It helps to have a guide to to point out the best spots for you. If sleeping in a goat’s hair tent, digging your own lav and eating warm halal salads aren’t your bag there are other options. Even I loved this arrangement, but I feel the pain of those of you accustomed to 700 thread-count sheets. If you just can’t stretch to sleeping in a cave try the Mövenpick hotel, in the new city of Petra and walking distance from Old City of Petra – I’ve never stayed but I went to this Swiss place for Ice Cream and a real toilet . It’s beautiful inside. The Taybet Zaman, which is an amazing 19th Century Arabic Villa that is a bit of a drive but it’s in the mountains and is equipped with an opulent swimming pool, gym and a Hammam. 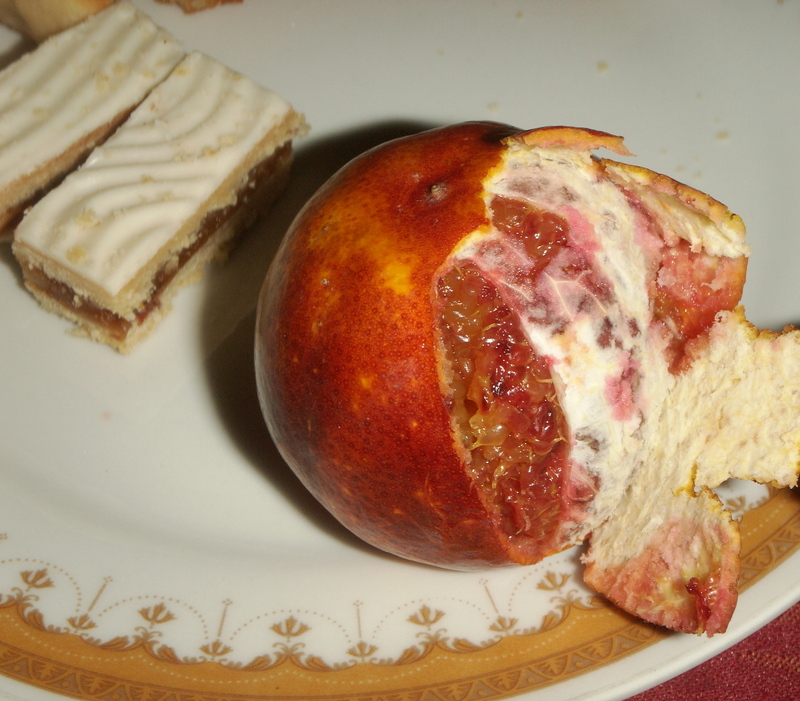 It isn’t as new and luxurious as the Movenpick but it is unique.The buffet breakfasts in both hotels are amazing – but most of the food in Jordan is in my experience. Even if you stay in the upmarket places, still make sure that you get a good guide. It’s highly recommended if you are a group and necessary if you are alone. If it wasn’t for R, the guide I had from Bedouin Discovery,with me at the Byzantine Church I’d have been eaten buy 2 wild dogs. She also caught 2 Saudi tourists taking pictures of me (and if you’ve ever seen me whilst travelling, it’s not a pretty sight. They were clearly insane) and she said something to them in Arabic which made them hand over their cameras for her to delete the pictures and skulk off looking thoroughly ashamed of themselves. I think if you are staying at someone’s home or just visiting a stranger’s tent/cave/house it’s nice to have some small present or souvenirs for them. ← SINGAPORE – Have a look-see! I am a Bedouin working with Bedouin Discovery. I just found this website. I would like to thank you for your kind words about the Bedouin and Petra. I am glad you had a good time. 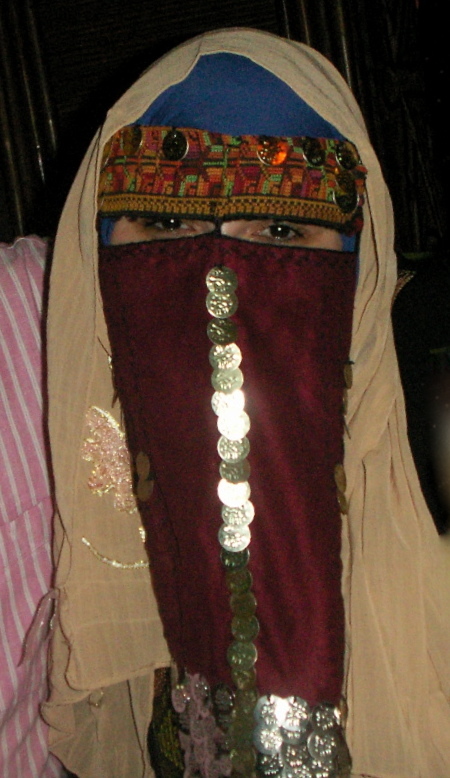 I love my life, I love where I live, and I love being Bedouin. It is always good to hear when someone else likes it too. Thank you. Thanks, Ahmed. I love it too! I am glad you read my opinions. Nice read, Plain Jane. And we are on the same page about Bedouin Discovery. It’s true, anything goes with them and they are very good at it. Genuinely nice and caring, and they even know how to find you in the desert when you don’t listen and get lost. I have been to Jordan a couple of times now, but this was an experience to go back for.